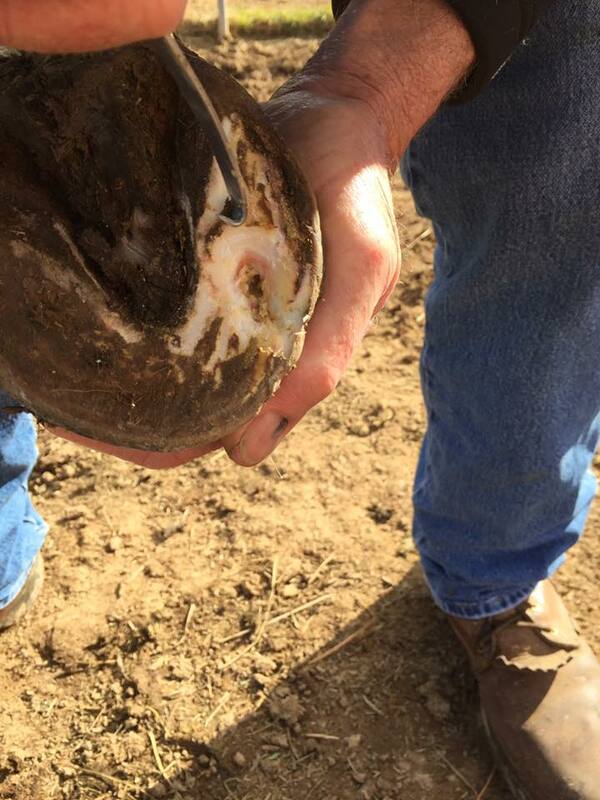 ST. GEORGE — After finding three horses dead due to alleged neglect by their owners on a New Harmony property Feb. 19, there was a silver lining when authorities discovered a colt still alive, although badly malnourished and injured. 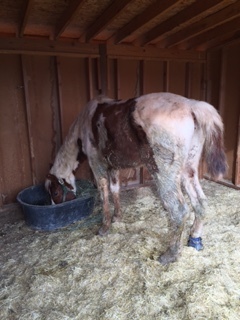 The young horse was transported for treatment and recovery at Dust Devil Ranch Sanctuary for Horses in Cedar City. 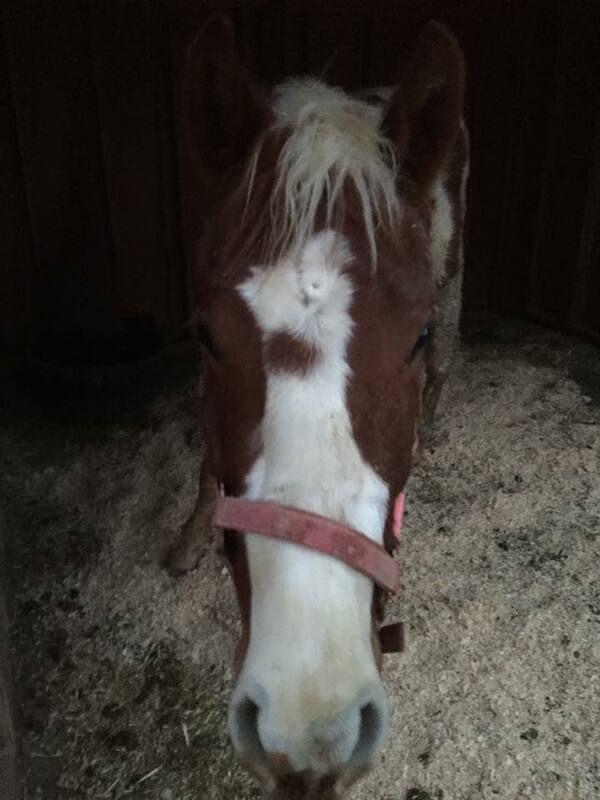 The colt’s rescue came when Washington County Sheriff’s deputies found three dead horses that had reportedly starved to death, according to statements by three suspects who were arrested and jailed on four counts of animal cruelty. “He’s in good spirits,” Ginger Grimes said of the surviving colt she renamed Chance upon his arrival at the sanctuary. Grimes runs the nonprofit Dust Devil Ranch and regularly takes in horses in similar predicaments. 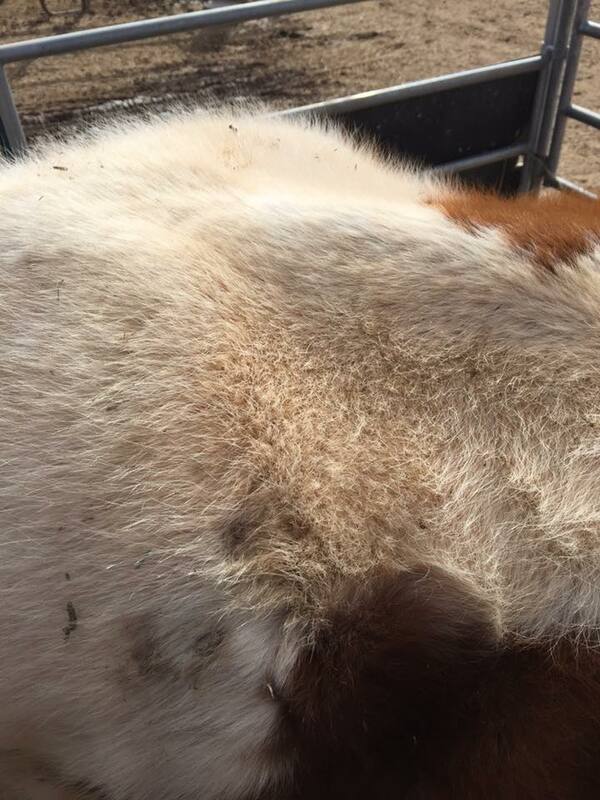 However, this was among the worst cases in her five years treating horses at the sanctuary, she said, only topped by such cases as Elsa, the frozen horse. 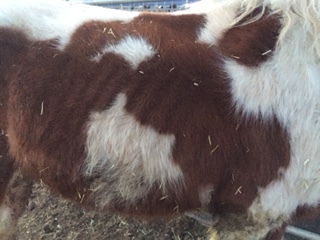 Grimes scores the colt at 2 out of 5 on the horse body condition scoring system, indicating emaciation with visible vertebrae, ribs and sunken cheeks. Chance arrived severely anemic and was placed on antibiotics due to an infection causing a high fever. 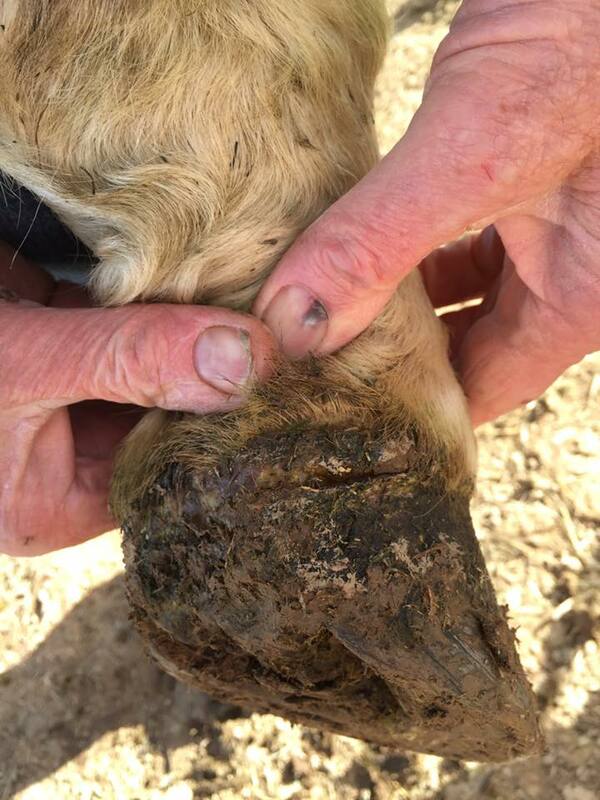 He also was in pain due to a serious injury to one of his hooves. If the horse had been properly treated at the time of the injury, Grimes estimated it would have healed by now. Because of the neglect, she said, the recovery time for the injury is likely to last 10 months. 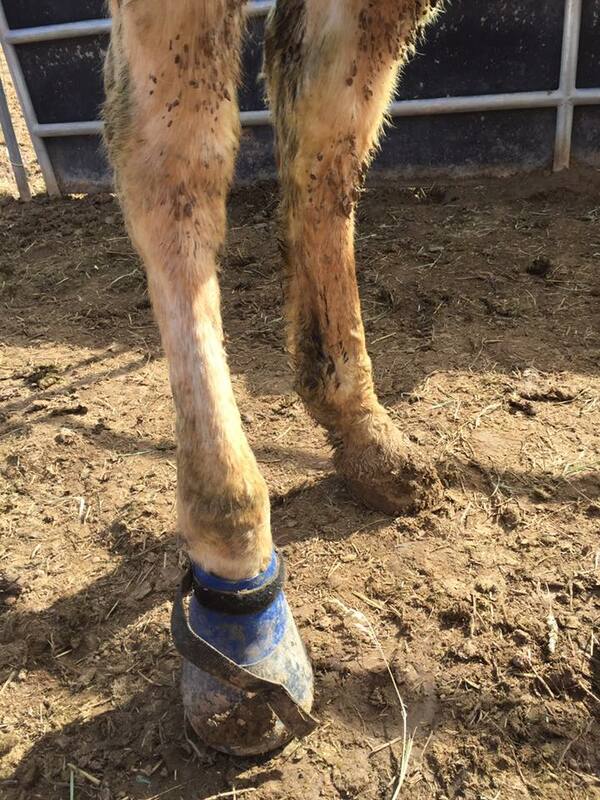 “This little horse has been in pain for at least a month, maybe even longer,” she said. Chance’s injury will also set back his training by another year, which would usually begin at his current age. “Now that he’s eating he’s starting to feel good,” Grimes said. 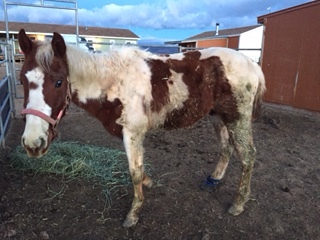 Grimes works with various agencies within Washington and Iron counties, including the sheriff’s offices, veterinarians, animal control divisions, the Humane Society and Bureau of Land Management to retrieve surrendered horses. She also leaves a few spots open for private surrender. Most of the horses that end up at Dust Devil Ranch are rehomed to new owners, though a few will remain on the ranch as lifers. “My main goal is to take them in, get them healthy and find them their forever homes,” Grimes said. Dust Devil conducts thorough background checks on potential forever home candidates in order to ensure the horses do not suffer similarly again. The sanctuary has an extensive waiting list for private surrender, but Grimes still works with anyone who calls for help to find care for their horse. However, Grimes encourages people to call the authorities when a horse’s owner is unwilling to seek help or relinquish the animal when they are incapable of caring for it. Such calls may be placed to the local sheriff’s office anonymously. Dust Devil Ranch Sanctuary for Horses relies entirely on donations, which can be made through the sanctuary’s website.